We can all agree on the considerable amount of labour, hours, and dedication that is poured into bringing your dream wedding to life. 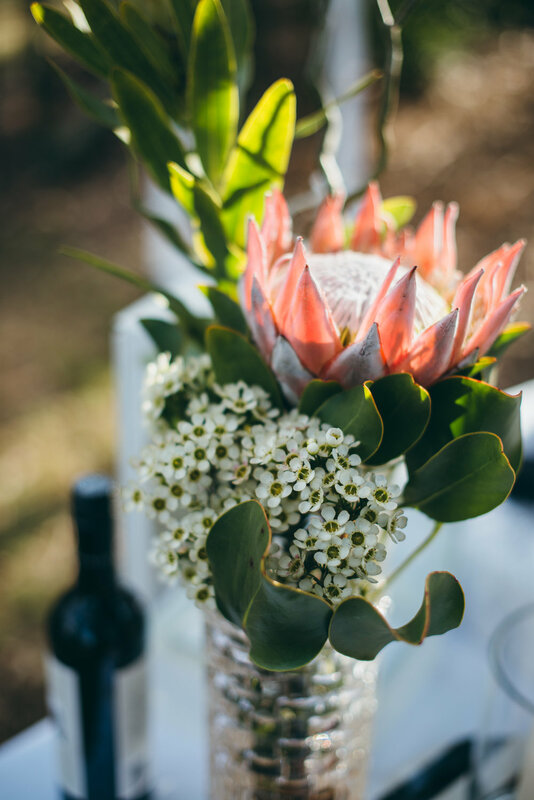 That’s why when we were approached by our dear friends, the beautiful Ling and Kevin, to style their special day we not only jumped at the opportunity, but it truly moved us to be entrusted with so intimate and so grand a task of designing their wedding. 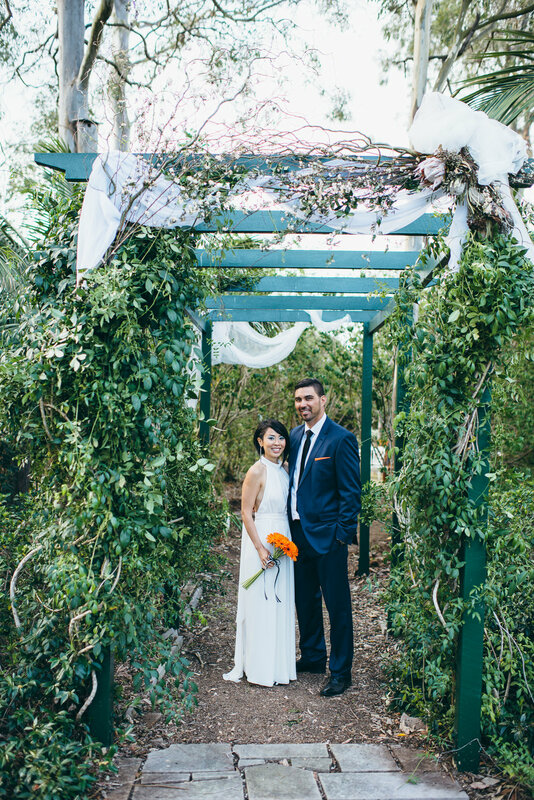 Their vision was simplistic and down-to-earth with a rustic edge. 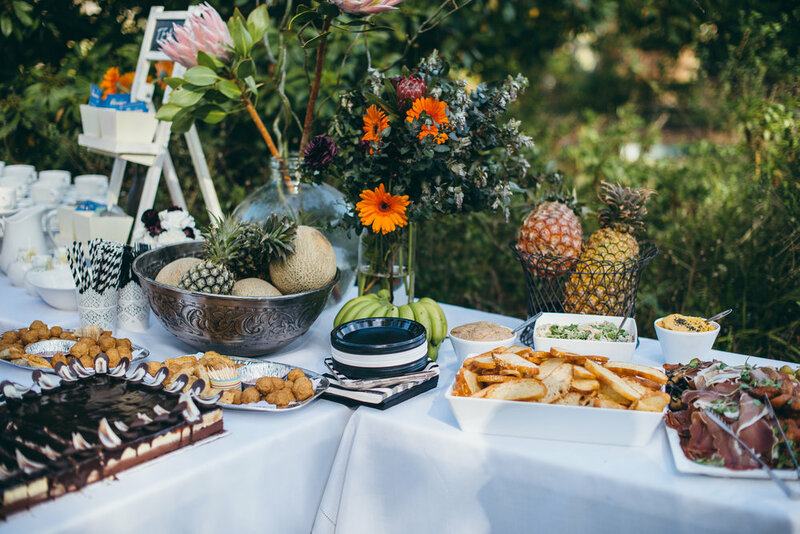 Set at a private residence, the landscaped garden provided the backdrop of tall bushy trees and shrubs for the ceremony that seated guests in an eclectic assortment of seats and benches. Australian natives and fruit trees such as lemon and guava framed the lawn and curved along a path tunnelled by overhanging vines with a white wooden arbour at the tip. This made for the perfect aisle to usher in the bride. 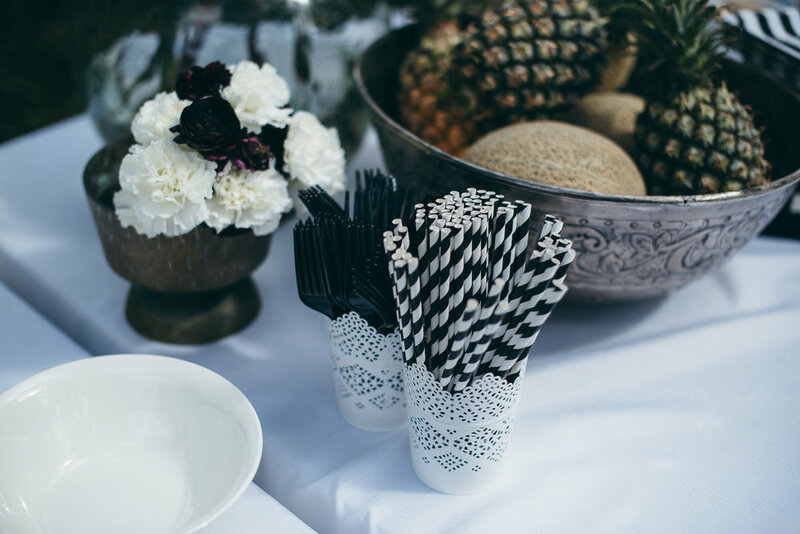 The bursting garden was statement enough thus our team worked from a very minimal palette of white and black with orange accents in the form of Gerberas; the bride’s favourite. 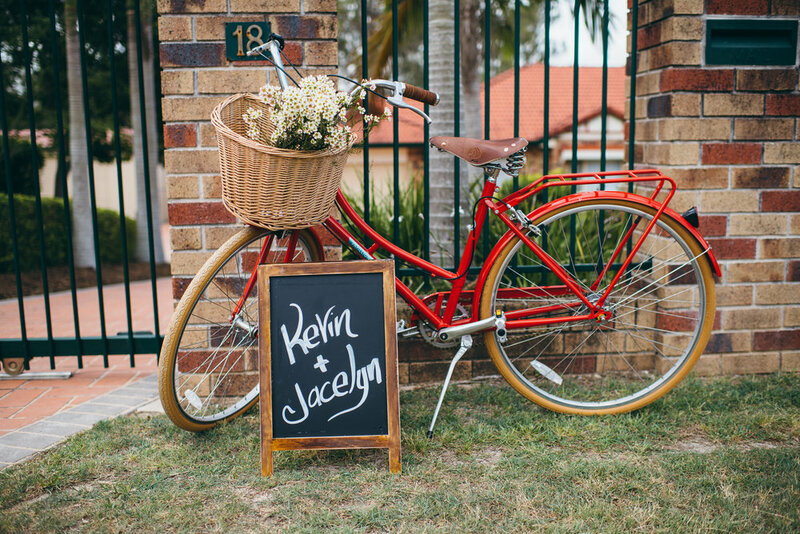 Along with white and burgundy blooms, was the bright red statement of the vintage bicycle that signalled guests at the entrance. The cocktail reception spilled out onto the lawn, with throw cushions and rugs in rich textures inviting guests to lounge until dusk at which point the newlyweds were whisked off to a private dinner with close family. We had so much freedom creating this special moment, we’re so grateful to Kevin and Ling for trusting us completely. What a blast!